This entry was posted on April 10, 2019 by MAV Europe. 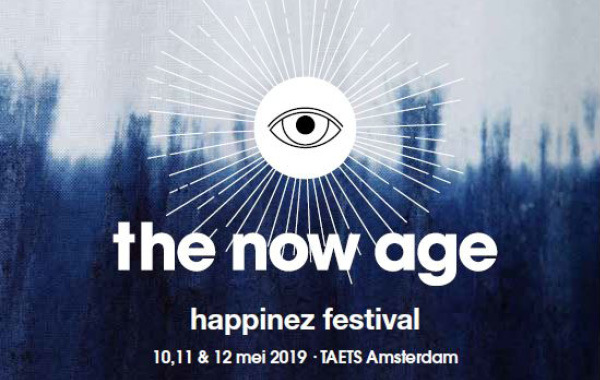 From 10-12 May, the mindstyle magazine “Happinez” is holding its popular Happinez Festival for the 5th time – this time at the TAETZ in Zaandam near Amsterdam. The organisers are expecting a new record of around 11,000 visitors at this year’s festival focusing on happiness and wellbeing. You may look forward to a lively festival feel, a great atmosphere as well as 40 lectures and workshops with international speakers who will talk about holistic life topics. The fabulous offerings include yoga sessions, music, dance, delicious food, a colourful market with exhibition stands and, as the highlight, a special programme on Saturday night. We will be joining again this year and are excited to welcome you at the Maharishi Ayurveda stand and to present you with a small gift. Just send us an email to map@ayurveda.eu or leave a comment on our post at Facebook including the term mit dem Stichwort “Happinez-Festival“. The winner will receive two complimentary tickets for this awesome event. Closing date for entries: 30 April 2019. This year at our stand, an internationally known Vaidya will offer a free pulse diagnosis and give you valuable health tips.